The Nintendo Switch is now considered by most to be one of the greatest comebacks in console history. Just when it seemed like the legendary Japanese toy-maker had lost its edge with the Wii U’s lacklustre games line-up and disappointing sales, the hybrid console concept has now been fully realised in the Nintendo Switch – a platform that boasts a joyful appeal for all types of player. 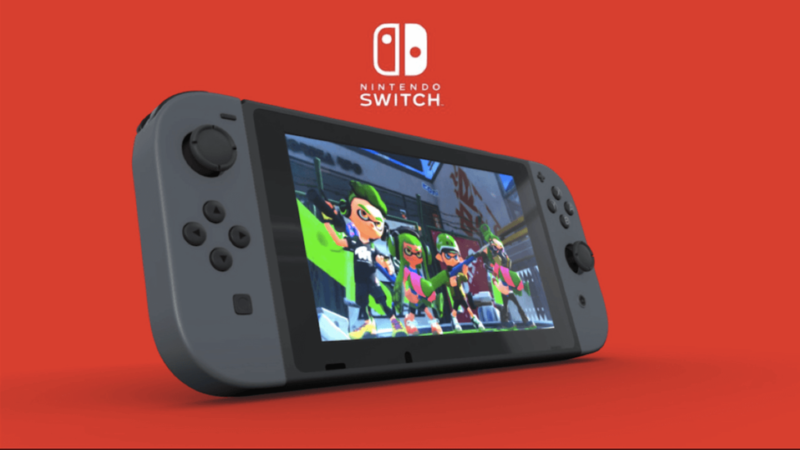 Yes, the Nintendo Switch – which recently celebrated its two-year anniversary – is a resounding success, which may lead many to ask, “Where can I buy a Nintendo Switch?”. That’s where we can help! As obvious as it might sound there are multiple retailers across the US where you can purchase Nintendo’s latest console. Many of them, however, offer their own respective deals and bundles. Where can you buy a Nintendo Switch? Only one of the world’s largest retailers, of course. Chances are Amazon is likely already your go-to online store for a range of physical and digital goods, but it’s worth noting that it’s also a great choice for anyone looking to get a Switch. Hugely discounted sales tend to be a rare occurrence, yet its stock of Nintendo Switch console variants can always be relied upon. The same is true for Nintendo Switch’s various special editions. The one major caveat with Amazon is that it doesn’t offer Nintendo consoles bundles with third-party video games unless explicitly packaged in the box. This gives players the freedom to create their own one of their choosing providing they want to do a little work, however, and doesn’t discount the chance that you’ll pick up a good bundle with first-party games like Mario Kart 8: Deluxe or The Legend of Zelda: Breath of the Wild. Walmart is a major player when it comes to brick-and-mortar stores, but its online counterpart is just as comprehensive a place to find what you need. That’s why we at Consoles.com are happy to compare console and bundle prices from Walmart.com, saving you from doing the hard work and pulling in the best deals for you to see. So, the next time you or someone you know ponders, “where can I buy a Nintendo Switch?”, definitely consider Walmart. Walmart offers potential Nintendo Switch players a range of different SKUs and variants, including those with the standard Gray-colored Joy-Con controllers as well as the more vibrant Neon Red and Blue. Walmart is also no stranger to stocking numerous bundles, both as digital codes inside the box as well as physical copies that sit outside. In terms of eBay retailers, Consoles.com currently compare Nintendo Switch bundles from two trusted outlets: Antonline and New Egg. Both tout exceptional seller feedback ratings, giving anyone looking to buy a Nintendo Switch the confidence they need to make a reliable purchase. We help, as part of that equation, to compare both retailer’s best deals, backing their status as authorized Nintendo dealers by featuring their available bundles. GameStop is arguably the largest retailer in the US that solely focusses on games. Others like Walmart and Target might keep consoles like the Nintendo Switch in stock, but with GameStop you’ll absolutely be able to easily pre-order limited edition variants and have access to more obscure video game titles outside of Nintendo’s first-party titles. This makes us extremely happy to be able to compare bundles and consoles from GameStop. This specificity with regards to gaming makes the retailer every player’s dream, where it’s clear that the company is literate as to what consoles are available where and when. Because of this you can do things like buy a Nintendo Switch from GameStop, along with any corresponding games, and then trade those games back in – getting credit back to put against future purchases. Interested in picking up a Nintendo Switch?